Calhoun County Appraisal District is responsible for appraising all real and business personal property within Calhoun County. The district appraises property according to the Texas Property Tax Code and the Uniform Standards of Professional Appraisal Practices (USPAP). 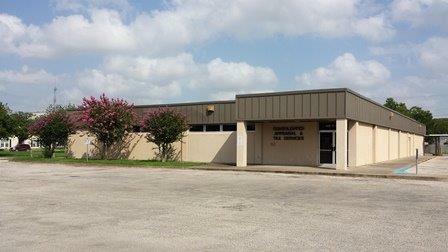 The Calhoun CAD also serves as the Consolidated Tax Office for the aforementioned Entities. Tax rates and ultimately the amount of taxes levied on property are determined by governing bodies of each of the taxing authorities. Every effort has been made to offer the most current and correct information possible on these pages. The information included on these pages has been compiled by County staff from a variety of sources, and is subject to change without notice. The County Appraisal District makes no warranties or representations whatsoever regarding the quality, content, completeness, accuracy or adequacy of such information and data. The County Appraisal District reserves the right to make changes at any time without notice. Original records may differ from the information on these pages. Verification of information on source documents is recommended. By using this application, you assume all risks arising out of or associated with access to these pages, including but not limited to risks of damage to your computer, peripherals, software and data from any virus, software, file or other cause associated with access to this application. The County Appraisal District shall not be liable for any damages whatsoever arising out of any cause relating to use of this application, including but not limited to mistakes, omissions, deletions, errors, or defects in any information contained in these pages, or any failure to receive or delay in receiving information.